Old bay seasoning is a must have for quite a few recipes, so here’s a way to make your own! It’s way better than any of the store bought stuff! 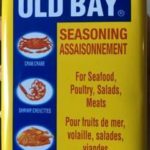 Old bay seasoning is quite a common ingredient in some of my favourite recipes. It’s pretty easy to find where I am, so it was unexpected when people started asking me what it is. So I set out to find an easy to make recipe for people who couldn’t buy the kind in the store. 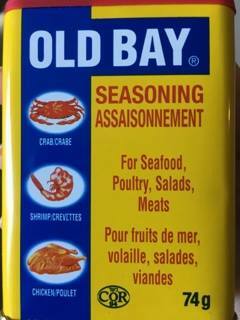 Here is a wonderful Seafood Seasoning that combines the best of Old Bay and Old Savannah seasoning into one tasty mix! Use this in place of either one and it gives even better flavour. It’s the best of both worlds! Place all of the whole spices in your grinder, and process for 20-30 seconds, until fine. Place the remaining spices in and run for 5 seconds to blend.